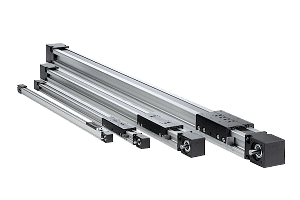 The WH (SPEEDLine) linear units are used for single-axis solutions and can be combined in two and three-dimensional systems (X-Y-Z). The light-weight design combined with the unit’s small footprint allow high dynamic and static load ratings in a compact package. This makes these units particularly capable in Z-Axis applications.